I wrote this blog a while ago, but was reminded of it when I came across this document recently. It’s fascinating treatise on today’s airline pilot’s lifestyle. 42% of pilots in major airlines in the Uk would not recommend a career in aviation to their kids. Doesn’t that say it all? They’re looking for the magic bullet which I of course must know and my answer is of course, you don’t, because you can’t. My airline is a new start up international operation, a subsidiary of an established domestic carrier. 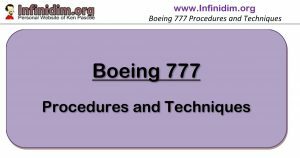 As such, while we commenced operations with a core group of instructors and pilots with international long haul experience – subsequent pilots are drawn from the domestic parent airline. These pilots have come from a short haul operation where most nights they were home in their own beds. Although there are long days – no-one disputes a claim that you’re working hard when doing four sectors with minimum turnaround times betweens flights, over the course of a 12 hour day – I remember from my own experience of this life that you’d fall into bed after a long day, sleep well and wake the next day without further consequences of your previous day’s work. Initially during the start up phase of V Australia many of these pilots found themselves trained, then cast off into long series of days off and standby with very little flying. Now as the work builds and the aircraft and pilot numbers stabilise – the monthly workload is increasing and the unpleasant impact of long haul international flights is starting to hit. While we mentioned it during training, it was information without personal relevance. Now it gives me a wry smile to hear discussed around the bar in LA how a pilot will get home after a 5 day trip to a trip to at least 3 or 4 days off before having to go back to work again – only to find that it takes them at least that long to recover their sleep pattern and other biorhythmic aspects of their lives (I’m staying away from personal bodily function references here), just in time to head off and screw them up again. Your immunity is lower, you sleep poorly and more often, irritability affects your family life, it all takes its toll. Layovers in LA become periods of white noise listlessness where you attempt little and achieve even less. Hard to believe, but you even begin to watch re-runs of NCIS. That’s an early warning sign, by the way. Now were coming in from Los Angeles and heading out to Abu Dhabi and back. Then our pilots new to long haul know what it’s really all about – east to west back to back is a real pain. Eventually you get to the point when you’ve been doing it for years, and you find it takes three weeks of leave just to start feeling like a human being again. Getting your kids to like you again takes a lot longer than that. Sleep for a long haul pilot is like my bank account. I can accumulate sleep debt, but it’s physiologically impossible to gain a sleep credit. When discussing this at a party, at some point I’m asked how I stay awake on long flights. Once I reveal that in fact our operation is an augmented one, with two complete sets of pilots and rest facilities which include flat sleeping bunks, my sympathiser’s eyes glaze over and disinterest in the issues of my work environment waft into the conversation. They pay you to sleep in a bed at work? They think of their own experiences of sitting in economy for 12 hours last holidays, surrounded by their kids, and conclude I have it easy. I could point out that I’m doing this slightly more often than their annual holiday – say 4 to 8 times a month. That any form of rest in an environment of perhaps 8% humidity can scarcely be called rest at all. That the bunk I sleep in is contained in a walled tube fifty centimetres tall, seventy centimetres across, 2 meters long, (I deliberately avoid the word “coffin” in these conversations, it seems an unfair emotional ploy, but aesthetically and structurally, that’s what it is – although more difficult that Dracula’s because I have to crawl in from one end). Oh and did I mention by bed is thirty six thousand feet into often turbulent air? That often I’m trying to rest when my body clock says Go Go Go, or work/fly when it’s saying No No No? Trying to switch off while I’m technically still in charge of and responsible for the safe operation of the aircraft by crew I may never have flown with before, in areas of suspect weather or over significant terrain (I never ever took rest over the Himalayas – not even worth trying). Crappy low cost pillow, damned hard cheap mattress – never confuse Crew Rest with Actual Sleep. Of course I’m still Captain of a $250 million dollar plane, with 350 passengers behind me, flying to glamorous destinations (did I mention we stay in Long Beach? ), surrounded by a dozen or so attractive 20 something women & men – it’s not Catch Me If You Can (did you love that movie or what? – I tried to convince my wife that’s how it’s supposed to be, but in hindsight had I succeeded I would have been in serious trouble), but occasionally it’s lots of fun. I like to think I have the respect of most of my peers, and fortunately for me all of them have mine. I guess I’m well paid (my problem tends to be my outgo, rather than my income, the exigencies of working for a Low Cost Carrier notwithstanding – that’s another story). I should be happy with my lot. Every now and then I depart from an airfield with a solid cloud top cover, and if I’m lucky I’m flying manually and well clear of the ground choosing to accelerate to 600 kph at just the right altitude to skim 50 feet above the tops of a sea of white cloud in a burgeoning glorious blue sky for a few minutes in my 350 ton flying machine. Then I remember how I got to be here. I’ve seen some amazing sights from the flight deck – and photographed a few of them. The irregularity of working a “planned” roster and the bizarrely torturous nature of time zone afflicted shift work has taken almost all the fun out of flying. In truth, my choice of career all those years ago considered none the factors of family, lifestyle, compensation or constipation. I just wanted to fly.